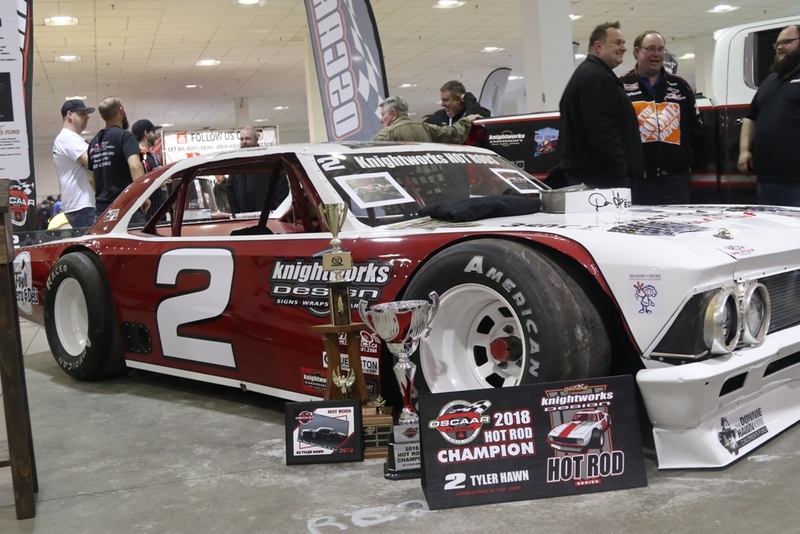 Following a successful season that saw him reach victory lane on a couple occasions, Tyler Hawn will be taking aim at his third straight Knightworks Design OSCAAR Hot Rod Series Championship. Following four feature wins and nine heat victories in 2018, the veteran is hoping to keep the wins coming. While excited to get back to his home track Sunset Speedway and chase another win, the same excitement surrounds the pair of events at Jukasa Motor Speedway. Hawn will be behind the wheel of the same 1966 Beaumont that he has driven the past two seasons to those championships. While originally having thought about running a Chevelle or Chevy 2, initial deals on body kept falling through or what they were finding wasn’t complete enough. While the team has focused on improving the car each passing year, the 2019 campaign will see them feature a brand new red and white paint scheme. With having been involved from the beginning, Hawn has seen the growth of the series, which continues to add to his excitement. “There are a lot of guys coming out – 42 guys that have registered, and 25 teams that have paid memberships,” he said. “So if we can get 20 cars a show, it’s going to be amazing, and the talent that I see every week that pops online there, it’s going to be an awesome, fun year. Hopefully we’ll have a few shows where 40 cars show up and we’ll have to have b-mains and everything; that’d be amazing. For the rookies who are joining the series, Hawn advises keeping your eyes open.